Learn more about our Artico Amber! 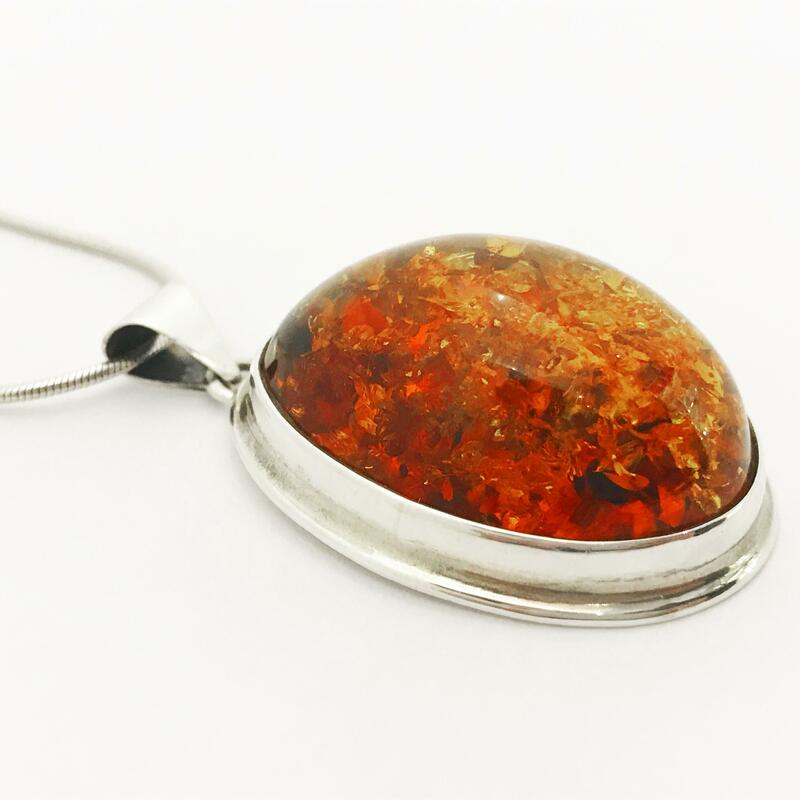 Amber helps to balance the emotions, clear the mind and release negative energy - it is a lovely warm stone to wear. Amber is the fossilised resin from ancient forests. Amber is not produced from tree sap, but rather from plant resin. This aromatic resin can drip from and ooze down trees, as well as fill internal fissures, trapping debris such as seeds, leaves, feathers and insects. Our Artico amber is always insect free, however we prefer to pick pieces with plant matter - Emma specifically chooses these because we think they are more attractive and interesting when worn as jewellery. Amber is easy to look after. All you need to do is occasionally clean it with warm soapy water.